It’s spring and it’s time to get out on your deck! It might also be the time when you realize you need a new deck. 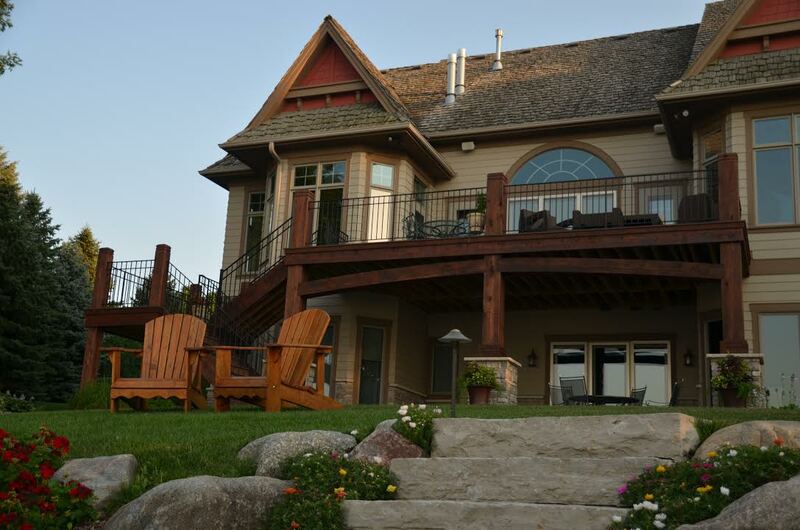 Safety, functionality and future plans are three main elements in considering a new deck. “Safety is not something to mess around with” according to Paul Schmidt, co owner of AMEK Exteriors. Inspect deck boards for weak spots. Having a friend or family member get hurt by falling through a deteriorating deck board or by leaning on a bad railing piece is not worth the trade-off of being proactive. “Being in the remediation business has made us aware of a lot of decks that weren’t built to meet building codes. If you are concerned about your deck, contact us so we can come inspect it for an honest evaluation.” Paul said. This AMEK deck was enlarged for better traffic flow & for easier maintenance by using AZEK & cedar for building materials. Evaluate uses – Is there room for someone to be grilling without worrying about scorching someone sitting nearby? Access traffic patterns – If everyone is sitting around the table, is it possible for someone to freely move to a nearby door or stairs? Analyze required maintenance – Does your deck need more maintenance each year? Perhaps, it’s time to consider other new materials like AZEK to maximize relaxation time and to reduce maintenance demands. “Our AMEK design team will listen to your needs and evaluate your outdoor space to see how a new layout using low-maintenance options could make your deck even more enjoyable,” Paul notes. What else are you dreaming of? An addition? Moving? 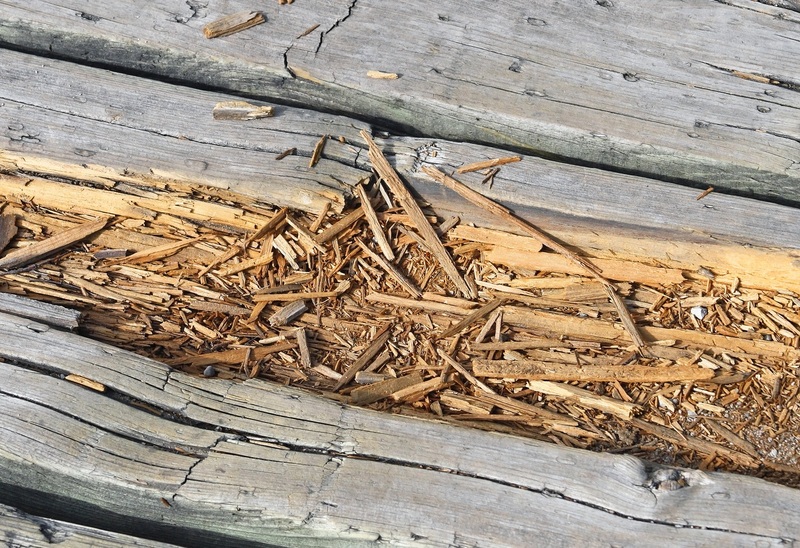 It’s important to consider other changes that might impact the deck area like landscaping or an addition to your home. This Edina deck was designed with a separate grilling corner and built-in seating & planters. Hire a remodeler like AMEK if you are thinking about using the same space for a three- or four-season porch or addition or transforming the area below for a patio or outdoor kitchen. Requirements for footings and water run-off would be crucial to the design process. Study cost vs. benefit of repairing existing deck to doing a new deck if you are planning to move within a couple years. 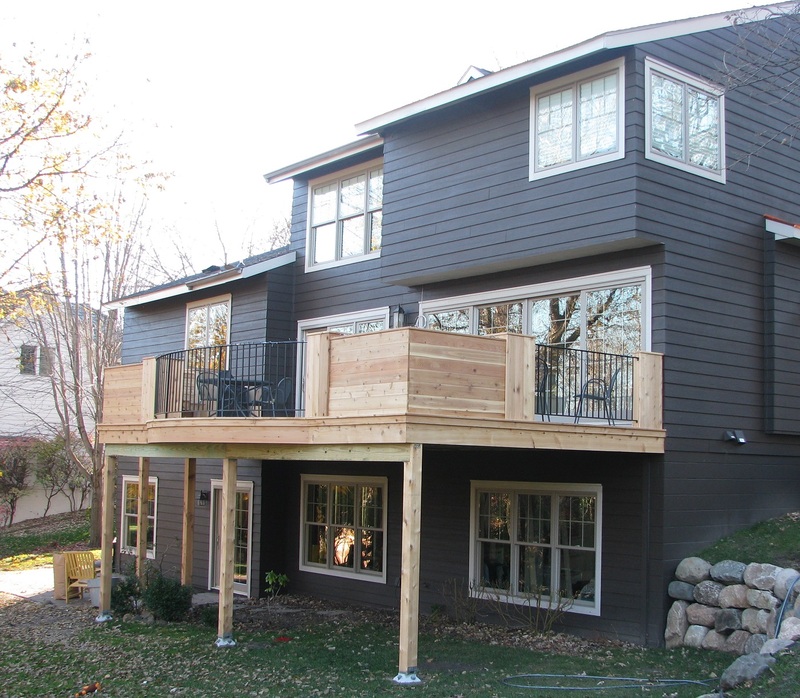 For a complimentary deck inspection, contact us now to take full advantage of the summer and fall seasons in Minnesota. Since the Minneapolis-St. Paul area had a mild winter, it’s a good time to get a head start on your home’s spring checklist like looking over your roof. Once you are on a ladder or a lower roof section, what are some signs you might need a new roof? Scan for loose or missing shingles. These can be caused by improper nailing methods, missing nails or wind damage. Look for spots of roof buckling. The shingles will appear ‘wavy’ and not flat in spots. 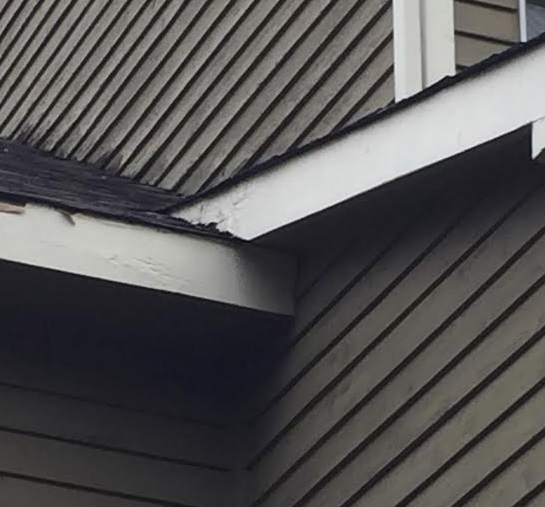 Roof buckling is caused by moisture affecting the underlying boards of the roof. Check the ground around your home or in your gutters for shingles or pieces of shingles. An excessive amount may indicate the need for a roof replacement. Watch for large gaps between shingles. As shingles age, they shrink which can cause water and moisture to penetrate under the shingles causing roof damage. Examine shingles for cracks which occur after storms, with aging or with improper ventilation. Survey for curling shingles. Upturned corners on asphalt shingles can typically be seen from a ground-level view of the roof. Is your roof 20 or more years old? Even though shingles might have been rated for 30 or 35 years, it doesn’t mean they will last that long. Installation, roof pitch and direction, and home location are all factors. 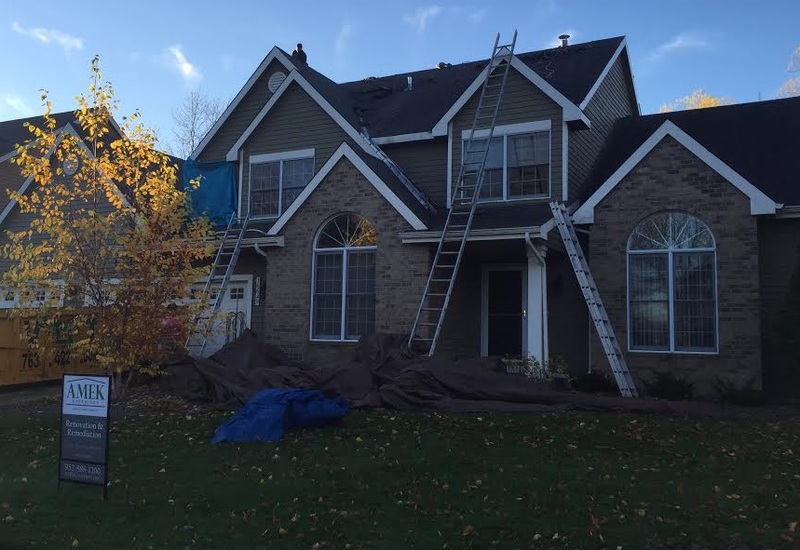 “Our wide variances in temperature and moisture in the Midwest shorten the lifespan on most shingles,” according to AMEK Exteriors co-owner Paul Schmidt. What about the parts I can’t see? Well, the parts of your roof that you can’t see can be even more crucial to protecting your home. Another potential problem is attic spaces that aren’t properly ventilated causing ice dams which can cause water intrusion and shingle damage or causing trapped moisture which leads to deterioration of the walls or roof decking. Looking beyond asphalt shingles may have advantages in lifespan or durability in high-wind or high-moisture environments. For more info on roofing material choices, here’s an overview. AMEK Exteriors is ready to help when it comes to assessing the state of your roof this spring. Contact us today for a free roof inspection. Condensation or fogging on your home’s windows can be worrisome. 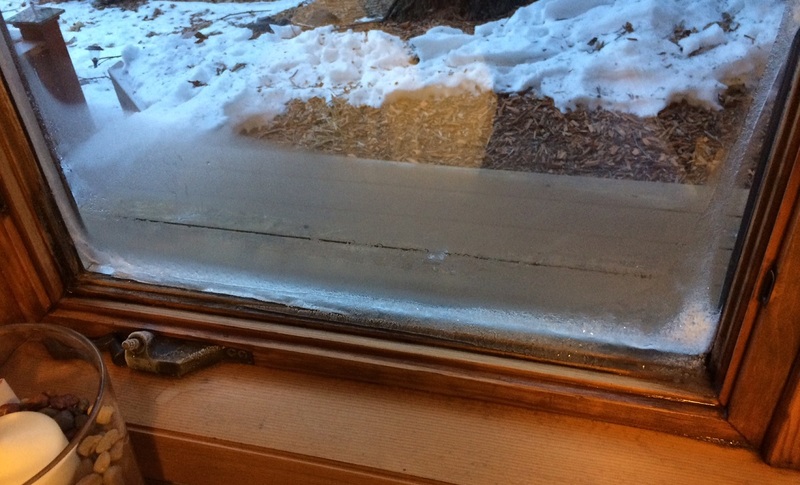 Winter is a common trigger, but this window condensation issue can happen year-round. Understanding the mechanics of your home and windows can help eliminate or reduce the possible damage caused by chronic condensation. 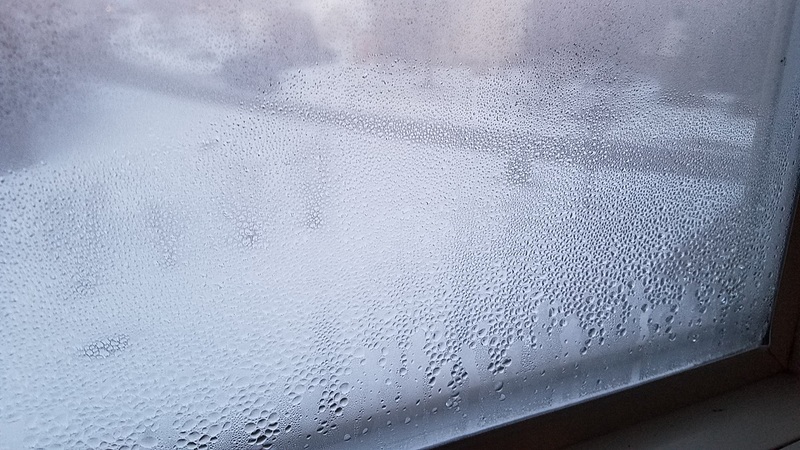 There are a variety of factors that can cause condensation and foggy windows. “Homeowners often don’t realize how important ventilation and airflow are in a home,” said AMEK Exteriors co-owner Paul Schmidt. Ventilation throughout the home including the attic and basement are critical to the home’s “well being”. In addition, double-pane and triple-pane windows can minimize condensation issues, but they can still happen because it’s usually not the window itself causing the problem. Example of window condensation. Photo by AMEK Exteriors. It mostly comes down to moisture levels and air movement. Keeping the balance between air temperature and humidity levels can be challenging. You might see signs that adjustments (throughout the year) need to be made if you are starting to see condensation form on the windows. Colder air generally can’t hold as much moisture. Extreme temperature differences can set up a greenhouse effect – below zero temperatures outside with temperatures 70 degrees or warmer on the inside. The air next to the window glass cools down causing it to form water droplets. This is known as the dew point. Sometimes, condensation is short-term like when the seasons change and you close up the house and turn on the furnace or air conditioner. A new home or one that has had extensive remodeling can have extra moisture as the building materials like concrete, carpet, sheetrock and wood dry out. Condensation that happens regularly and for a lengthy period of time can deteriorate window frames and can cause major rotting around windows and doors which can lead to widespread development of mold and related health impacts plus compromised structural integrity from rotted wood. Common remediation repairs can involve removing windows and examining them to see if they can be reused or if new windows are required. In addition, the surrounding wall framing may need to be replaced if it’s rotted. The critical component is using the correct installation techniques when putting the window and wall back together to prevent future issues. Because newer homes are becoming more airtight and energy efficient, there is less airflow through gaps like there used to be. To give your home “an adjustment”, opening a door or window for 15 to 20 minutes occasionally can help equalize the moisture levels and provide some needed fresh air providing the relative humidity outside is less than the relative humidity inside. “On new homes, it’s really important to integrate a ventilation system into the home’s building envelope, so we install a heat recovery ventilator or a energy recovery ventilator to make sure there is a regular exchange of fresh air and prevent excessive moisture issues like window condensation,” Paul says. Another problem can occur when window seals have failed and the condensation is happening between the window panes. This fogging can happen if the windows are old and need to be replaced or if the windows were improperly made or installed. This problem isn’t as detrimental as condensation issues. Windows with this issue may not be as effective and look unsightly. Check to see if the window’s warranty has expired to see if you can get it fixed or replaced. If under warranty, the manufacturer will provide the glass for free, but you have to pay a professional to install it or do it on your own. So what are some situations and how can they be altered to be balanced out to reduce window condensation? Perhaps, the humidifier is set too high for the capacity of what the air can hold based on the temperature, so try reducing the humidifier setting and see if that helps. Closing curtains or blinds can also disrupt the airflow to the windows causing condensation – leaving a larger gap at the bottom or side of the curtain or blind is all it takes to clear up the problem. Having extra people in the house taking showers or doing laundry can be enough to change the humidity level in the house especially in the winter when windows would be closed not allowing some moisture to escape. Turn on the bathroom fan or leave a window open afterward for a couple minutes. Same goes with doing additional cooking without the exhaust fan going. 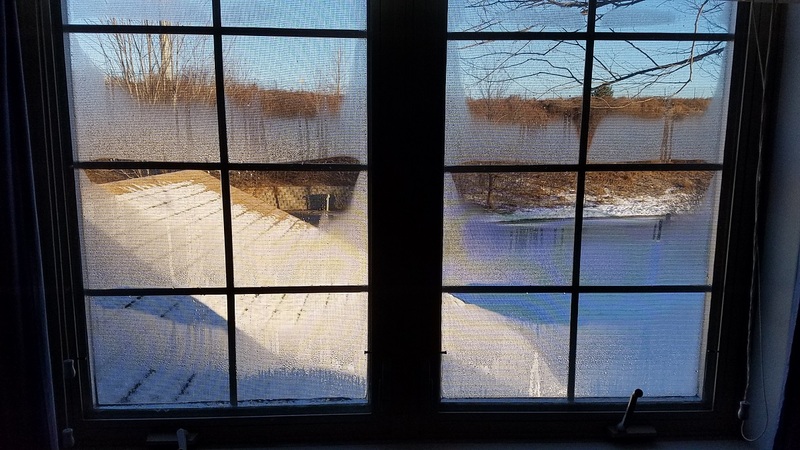 If trying these tactics to clear condensation doesn’t work, It may be time to call the professionals. Contact AMEK Exteriors for further help in identifying causes and solutions to your window condensation challenges. Two AMEK Exteriors’ employees recently received their certified vinyl siding installer certificates from the Vinyl Siding Institute (VSI). Jim Hansel and Brent Ficocello attended the course on proper installation techniques for vinyl siding, soffits, and framing and passed the examination in January 2017. 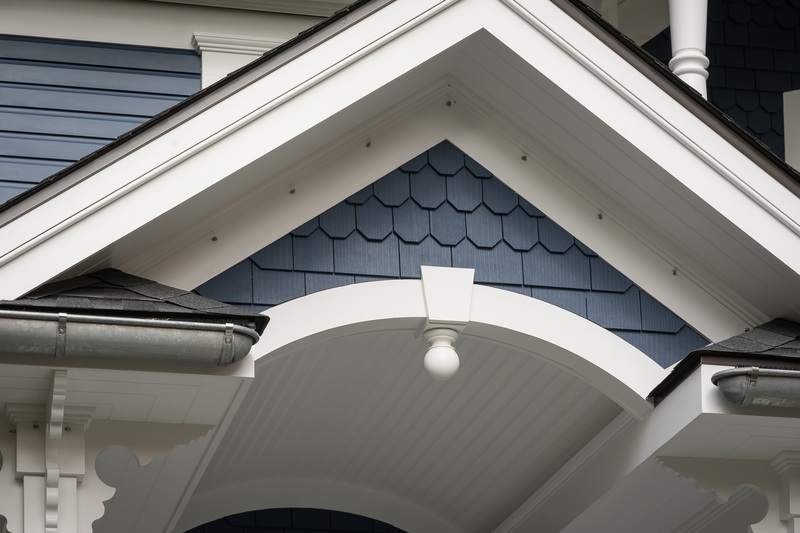 Based in Washington DC, VSI is a national organization representing manufacturers of vinyl and other polymeric siding and suppliers in the industry. 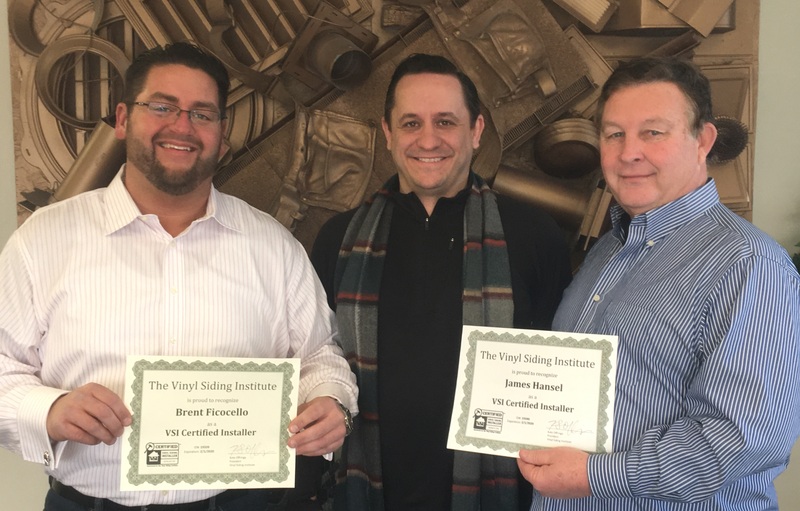 AMEK CEO Andrew Schmidt congratulates Brent Ficocello and Jim Hansel on earning the Vinyl Siding Institute’s Certified Vinyl Siding Installers certficates. “This certification adds to their credentials making them more valuable to our company and ultimately to our homeowners we serve,” said Andrew Schmidt, co-owner and CEO of AMEK Inc.
Brent and Jim both bring decades of experience in the construction industry to AMEK. In his 25 years in the construction business, Jim has worked in all phases of construction and thoroughly understands how important scheduling, proper installation, and communication are to his clients. Jim is also a Certified Remodeling Project Manager (CRPM) with the National Association of the Remodeling Industry (NARI) and is Lead Certified with the EPA. Brent has been around construction since he was a kid with official jobs starting in 2001. Brent has a solid background in exterior storm restoration as well as new home construction from start to finish. He is extremely knowledgeable about exterior product choices and design options. One of Brent’s strengths is his high client satisfaction ratings. 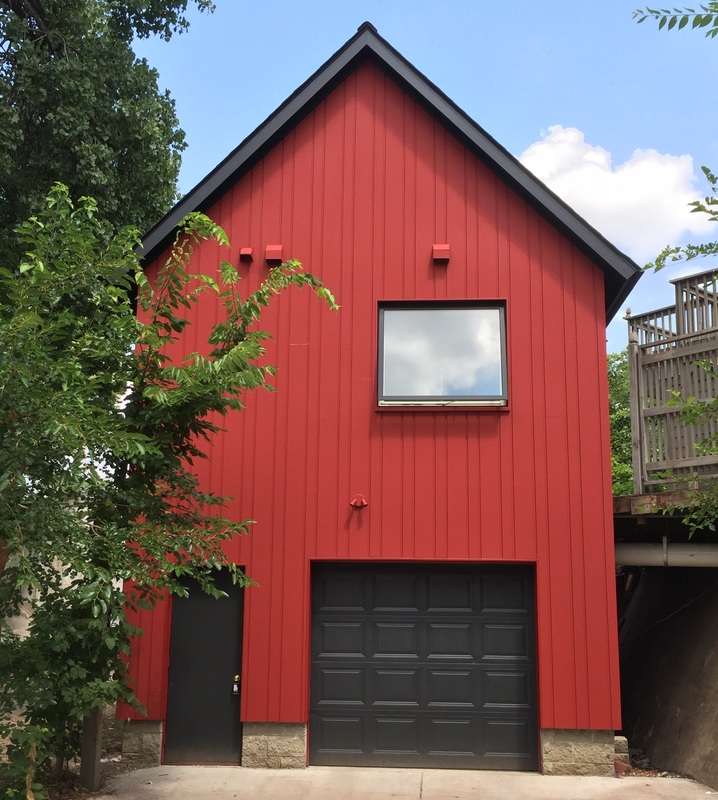 “A lot of people underestimate how critical it is for siding to be installed and integrated properly with other products like stone, windows and decking,” according to Paul Schmidt, AMEK Co-owner. One of the key areas Paul specializes in is fixing construction defects caused by water intrusion due to improper installation techniques used by other construction companies. Water and moisture that enters the wall cavities can cause extensive structural rotting and mold formation. “AMEK’s goal is protect your investment in your home and your family’s health with very specific installation techniques,” Paul said.